Hoops from old wine barrels become a chandelier. When the wine barrels are past the prime of making their art, Pascal Zugmeyer, Z Wine Guy, makes the wine barrels into an art all their own. Every artist has their medium, and with a look at creative entrepreneurism in our wine, I present to you a portrait of an artist whose medium is wine barrels. Zugmeyer grew up in Toulouse, France. At 21, having just graduated college, he struck out on his own and moved to the island of Saint Martin in the Caribbean. All was going well; in 2001 it got even better when along came Sally, a native New Yorker on vacation. They met at the restaurant where Zugmeyer was working and the rest was history. After one year of long-distance dating and 10 years in the Caribbean, Zugmeyer sold everything and joined Sally in the Big Apple. In 2003, they tied the knot; in 2006, their son Tristan was born; and in 2007, they left the city and bought a house in Southold to raise a family. 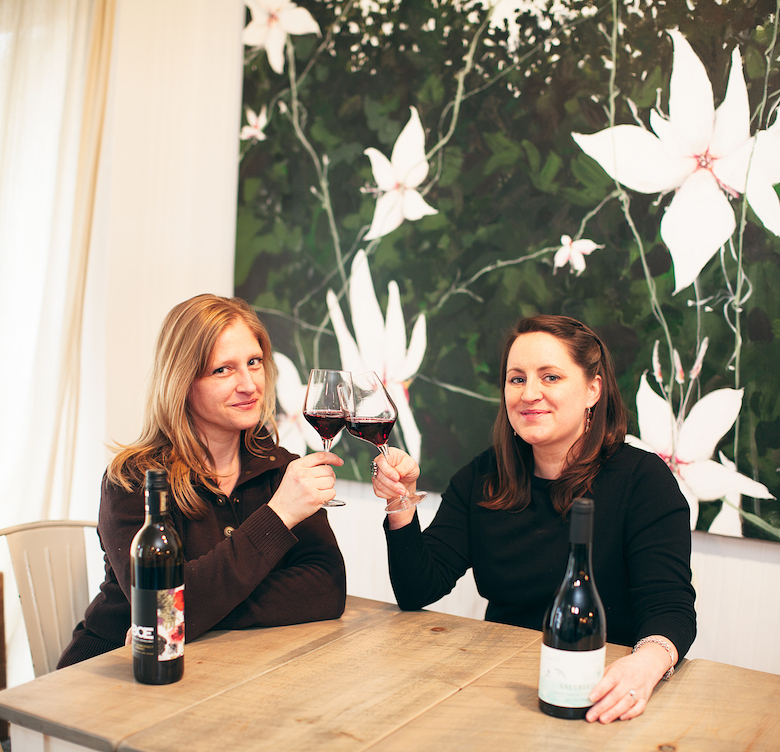 Prior to their move, Zugmeyer, a certified sommelier, worked in the wine industry as a wine director, in wine sales and conducting private tastings; the East End was a good fit. 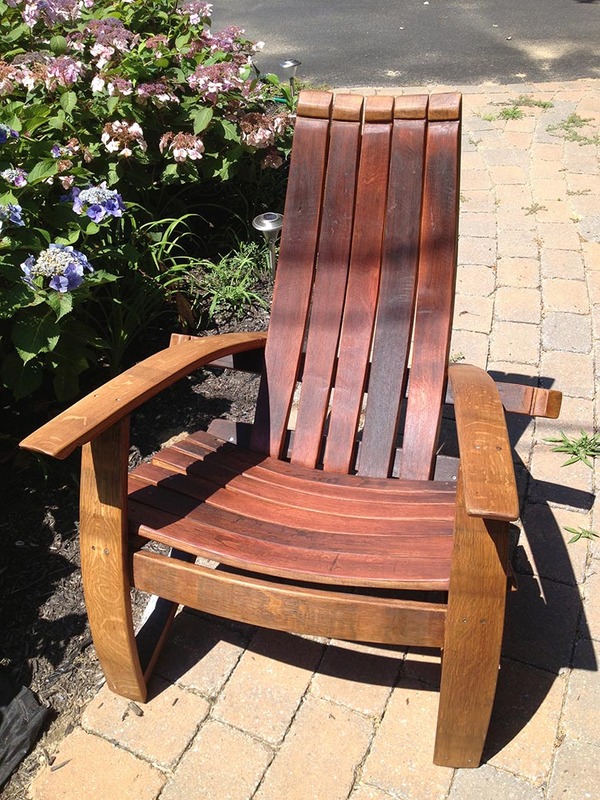 An Adirondack chair made from barrel staves. Zugmeyer’s first job was retail manager at Wölffer Estate Vineyard. 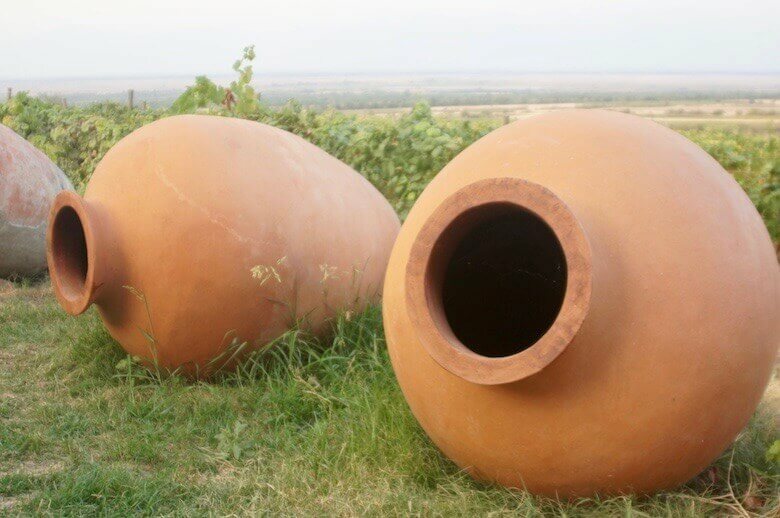 While there, he started creating wine barrel art and displayed his pieces in the tasting room. “I made 25 candleholders, two lazy susans,” he says, “and everything sold in a week!” He has since gone on to work at restaurants and other wineries, while teaching wine classes and hosting private events, all the while working with the barrels. 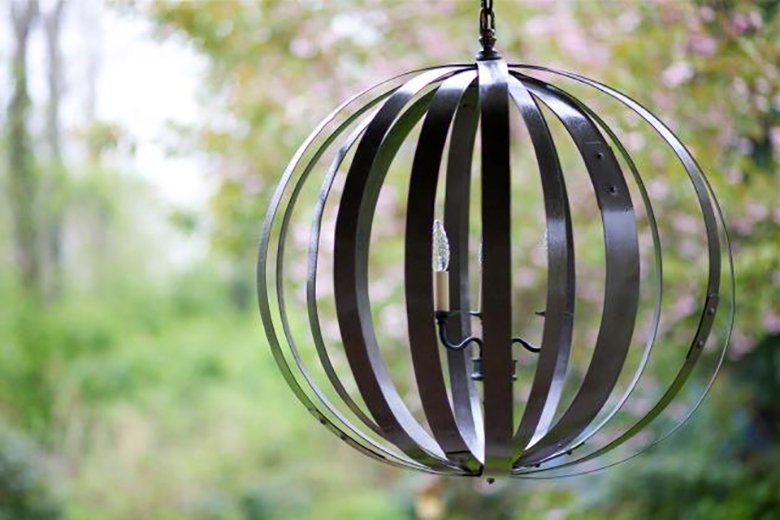 He currently makes about 30 different items — from chandeliers to tables to gas-powered wine barrel fire pits — and is always adding to his portfolio. 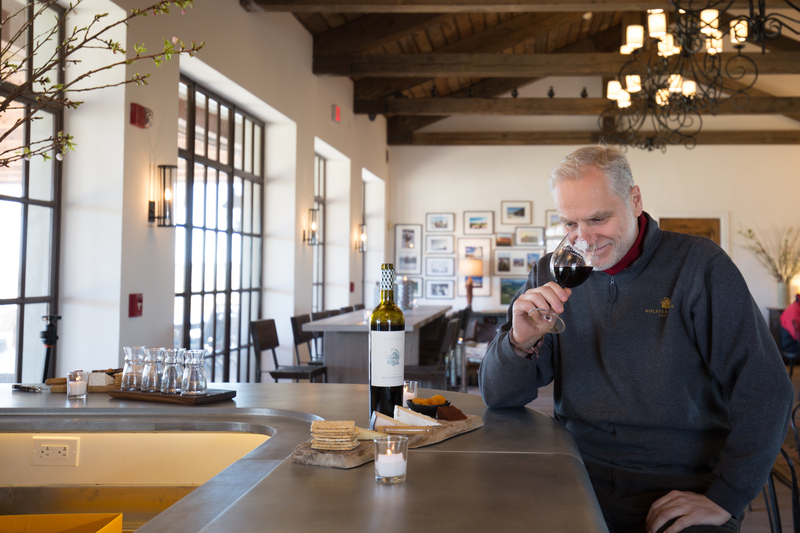 Some of his creations have been picked up by and are on display in tasting rooms across the North Fork: Roanoke Vineyards, The Lenz Winery, McCall Wines, and the Winemaker Studio. He created McCall’s ceiling lamps and the Winemaker Studio’s sign out front. The most popular are the tables, he says, second are the candle-holders, and followed by the lazy susans which are often used for wedding gifts branded with the couple’s names. 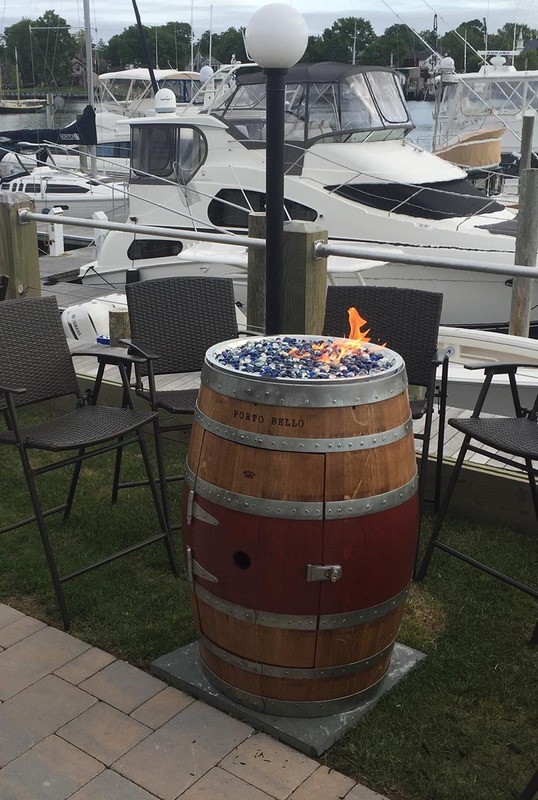 If you’re interested in Zugmeyer’s wine barrel art, call 917.655.0877 or e-mail pz@zwineguy.com. You can see other wine barrel art pieces at zwineguy.com.